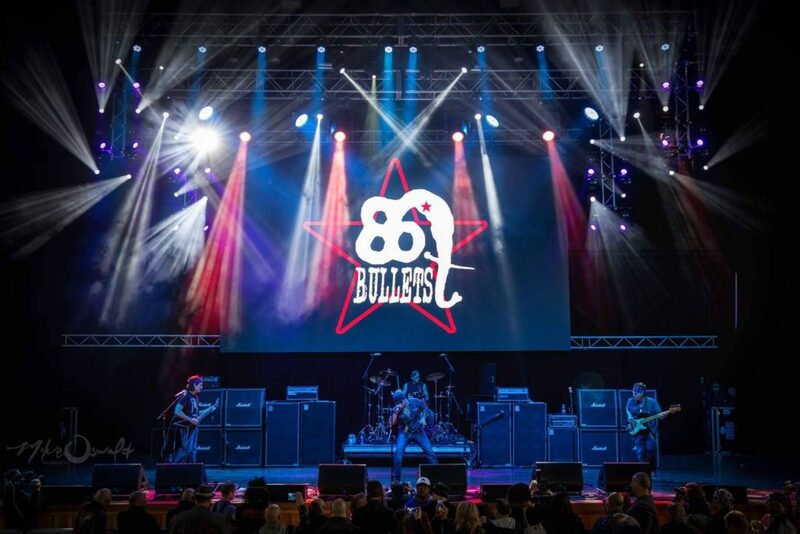 Please help us welcome Baltimore, Maryland rock band 86 Bullets to our family of musicians. 86 Bullets first came to our attention back in 2017 by our good friend, musician and producer Joe Macre, it’s safe to say Joe has a great ear having worked closely with some of the biggest names in the industry like Crack The Sky, The B. E. Taylor Group, Wild Cherry among others, after listening to 86 Bullets first two EPs and following them on social media for about 7 or so months we decided it was time to bring the band into our family of amazing musicians. We see a bright future for the band. 86 Bullets have thus far self-released 2 EPs with a third one, “Animals and Angels” due out in April 2018 and a full length to follow in the near future. “86 Bullets is a rock band that brings powerful sound as well as incredible enthusiasm and energy to every performance. These boys were born to rock! Only three months after forming 86 Bullets debuted at the 2016 M3 Rock Festival, sharing the stage with legendary hard rock bands Tesla, Queensryche, Night Ranger and Motley Crue’s very own Vince Neil. Due to the huge buzz their amazing performance at M3 generated, 86 Bullets exposure on radio stations is steadily increasing and the band would love to take you along for the ride! 86 Bullets have a heavy sound with a pop sensibility and a set list that gets everyone to stand up and take notice. Not only does this band rock a crowd, they rule, conquer and take no prisoners. On April 30, 2017, the Baltimore-based rockers released their dynamic new album Agents of Absolution featuring the single “A Beautiful Lie.” The track quickly became a favorite of numerous hard rock radio outlets. The members of this band are all long-time veterans of the Mid-Atlantic music scene and are some of the area’s finest musicians, each with their own following of fans and musicians alike.